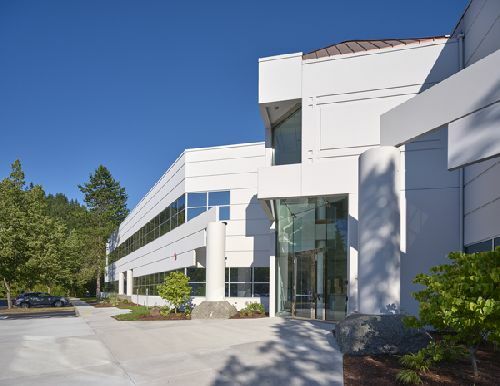 Sammamish Park Place, a 97.2k sf, office and flex building in Issaquah, WA was acquired by Rich Uncles NNN REIT Inc, out of Costa Mesa, for $29 mil ($298/sf). The recently renovated property is 100% leased to Costco. Located at 22011 SE 51st Street, this 4.67-acre site sits adjacent to Costco’s International Headquarters and several other Costco-leased buildings in the Issaquah area. Due to the highly constrained market and proximity to the I-90 corridor, the Eastside market has experienced tremendous upward pressure on rents. These factors, paired with the long-term lease of Costco, provide a stable investment for Rich Uncles in an emerging market. The two-story building recently underwent significant capital improvements for new tenant build-out, totaling roughly $3 mil. These included two new HVAC rooftop units, refurbished VAV boxes, upgraded HVAC controls, window sealing, landscaping, sidewalks, parking lot sealing and striping. A new lobby was included in the remodel as well as tenant improvements throughout the building, including the opening of floor plates for future flexibility in the use of space. Tom Pehl and Lou Senini of CBRE’s Seattle office represented the seller in the transaction, Onward Investors, who are based in Eden Prairie, Minnesota. John Lo of CBRE’s Debt and Structured Finance team arranged the acquisition financing in the deal.